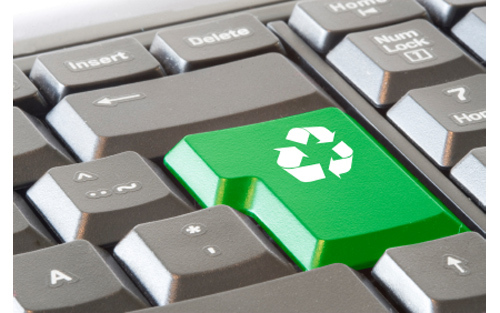 How Small Business Owners Can Go Green and Save Green! Home | Work at Home | Running a Home Business | How Small Business Owners Can Go Green and Save Green! Replace your incandescent light bulbs with compact fluorescent. A 25-watt compact fluorescent bulb produces about as much light as a 100-watt conventional bulb but uses only one-fourth of the electricity. And if you’re thinking they are too expensive, you probably haven’t checked lately. It used to take a year or more for compact fluorescent to pay for themselves. Now many pay for themselves in energy savings in the first month. After that, it’s pure profit. Turn off your lights at any time during the day when you aren’t using them for 15 minutes or more. Set your computer to go to sleep automatically during breaks. If you charge electronic devices, unplug the adapters when you’re not charging the device to avoid continual bleeding of power. Set your thermostat lower by a few degrees in the winter and higher by a few degrees in the summer. Even small changes can make a difference. For every 1 degree reduction you make in the winter, you can save 3 percent in total energy use. Consider getting a programmable thermostat to reduce energy output overnight. Keep blinds open to reduce the need for artificial light in the winter and closed on warm days to reduce the load on your cooling system. We haven’t even moved beyond the simple steps, and already you’re saving some serious money. Put these ideas into practice, and then sit down with your power bills after a month or two to see whether it’s been worth the modest effort. Odds are you’ll see real savings and start looking for next steps. Karen Kobelski is the general manager of BizFilings-a leading online provider of incorporation services. Karen has more than 20 years of experience leading professional services teams and has spent the past 7 years leading incorporation and registered agent organizations. Now, get her free Guide to Incorporating Your Business at www.BizFilings.com. To get your free guide just click on the Learning Center.